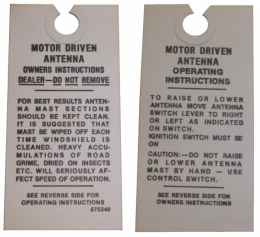 Electric antenna instructions tag. Replaces original GM part #5910645. Top quality GM licensed reproduction. MADE IN THE USA.